Those of you who read my writing know that I’m basically a softie, a romantic and lets see, what else have I been called… Just a sentimental girl blogger. OK, you know what? At times like these, when the kind of mushy in me manages to get to the core of an actor I deeply admire and draw out a portrait of him that makes both of us happy with tears, I’m alright with whatever label you want to impose on me. I am, thank you very much, and I stand by it. 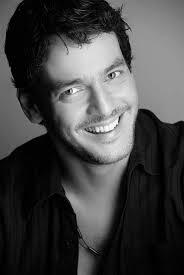 I was proud to interview Khaled Abol Naga, whom I feel deeply is an “Egyptian Inter-National Treasure”. I find him charismatic, super talented and very easy to speak with, very truthful in every way. I thank that secret angel who connected us and made the interview possible and I thank my lucky stars for having been fortunate enough to get Abol Naga’s essence, which was then a piece of cake to translate onto the page. This weekend, his latest film From A to B, where he has a short cameo but one big on impact as the senior Syrian officer, opens throughout the Middle East. And then you can always catch up on his other parts in Villa 69, Eyes of a Thief, Out of the Ordinary and Microphone, to name a few. I leave you with a few words of wisdom from Abol Naga, for the full whammy you’ll have to check out the full interview on The Huffington Post. Read the rest on The HuffPost. This entry was posted on Thursday, January 8th, 2015 at 7:04 am and is filed under Adventures, Interviews, Man's Opinion.